It’s a question that every GCSE music student must face and something I found myself repeatedly asking when listening to ‘Shaking The Habitual’, the latest album from Swedish duo The Knife. The influential duo from Stockholm are consistently cited as major players in the Swedish electronic pop scene, in particular following second album ‘Deep Cuts’ which featured the excellent Heartbeats (later covered by José González). As such, anticipation for ‘Shaking The Habitual’, their first album in seven years since ‘Silent Shout’, was understandably high. Yet they’ve largely eschewed their pop roots for something much more wild. ‘Shaking The Habitual’ is experimental to the extreme; raw, animalistic and untameable. The title is thus rather apt, as this album is a huge and unexpected departure from the norm. It’s unlikely, however, that this new habit will catch on. It all starts pleasantly enough with A Tooth For An Eye – a track that sets up the album’s aesthetic whilst maintaining the duo’s recognisable style. It’s on this track that Karin Dreijer Andersson’s vocals are most prominent amongst the rattling tribal polyrhythms, percussive melodic riffs and stabbing basslines. By keeping a clear structure, the track is easily digestible despite the unusual but thrilling instrumentation. From here, things take a turn for weird, uncharted territory. The previously released Full of Fire, if anything, is nine minutes of frightening drum pounding, alien vocals and fragmented sound effects; A Cherry On Top begins with moody and distorted found sounds that slowly evolve into a gamelan style percussive melody with the lyrics “strawberry, melon, cherry on top…”; and Old Dreams Waiting To Be Realized is a nineteen minute long meditation on rattling sounds and white noise that’s more akin to Chinese water torture than music. On the plus side, Without You My Life Would Be Boring features an infectious beat, though the track is ruined by the grating recorder, and Raging Lung has a more melodic focus than some of the other tracks. 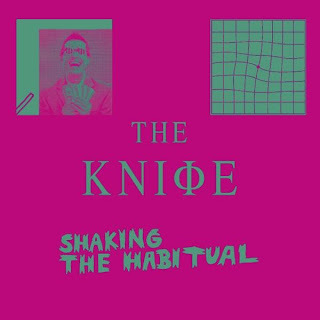 In all, though, The Knife have leaned too far towards abstract art music with ‘Shaking The Habitual’, resulting in an album that’s an incredibly difficult listen just shy of incessant noise. As you delve further in, its impact is only numbed, along with any enjoyment. In answer to that opening question, my teacher claimed music was simply “organised sound and silence”. In that respect, ‘Shaking The Habitual’ certainly constitutes music, albeit an album that pushes the boundaries of acceptability. This is certainly an interesting, unusual and inventive record, which on one level or another should be commended. 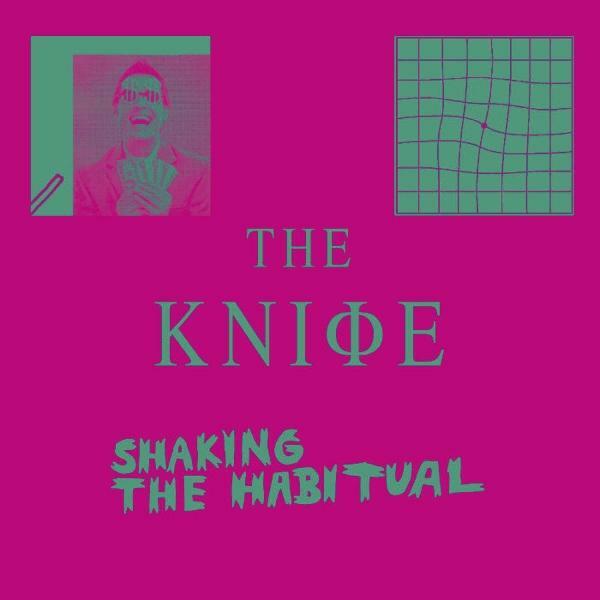 Yet The Knife are pioneers of electronic pop, a genre which, by definition, should be pleasant to listen to. Experimentation is the path to creativity and the duo have always been a little unsettling, but this album has taken things too far into some otherworldly oblivion. Listen: 'Shaking The Habitual' is available now.